At the Communal Oven we aim to continue building our reputation as the most authentic and tastiest wood fire pizza in the marketplace. 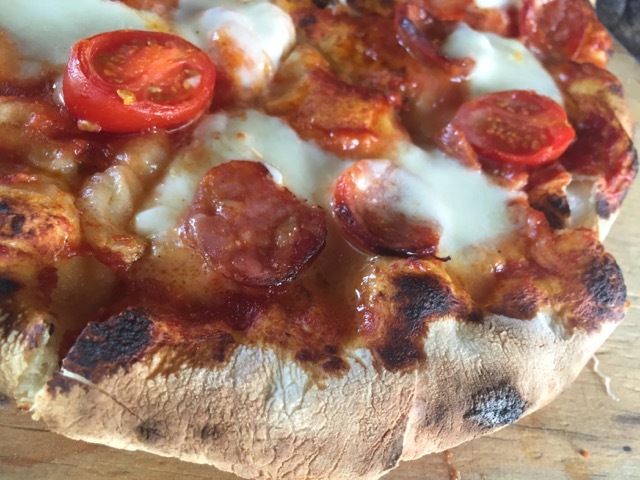 Our Pizzas our optimally cooked in 2-3 minutes at approximately 350 C, in the wood fired oven, designed and built by the communaloven-thats right we build ovens too! Our authentic wood fired pizzas are based on a traditional New York style thin crust pizza – a puffy crunchy crust at the outer edge to hold onto and a thin crisp base through the centre. All pizzas are topped with our fresh napoli sauce, mozzarella cheese and choice of toppings. We make our dough from scratch and roll it fresh for each pizza, as you would find in the best pizzerias world over. We follow a system of simple efficient processes that enable our team to bake up to 100 pizzas per hour, every hour all day long. Are you having a birthday party, wedding reception or organising an event? Are you looking for caterers offering something more than just the usual barbeque or spit roast? 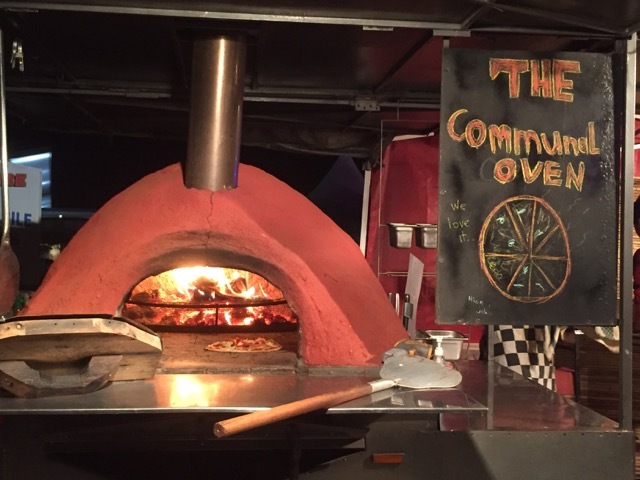 The Communal Oven Wood fired Pizza will help make your party fun, easy and successful. Guests with special dietary requirements can be assured that we care about their needs and can provide vegetarian, vegan and gluten-free pizza.